The poorest and wealthiest zip codes might surprise you. The United States is a society beset by a huge disparity in wealth, with some of the highest levels of wealth and income inequality in the world. But, while America features some of the biggest gaps between our richest and poorest inhabitants, those people don’t often seem to be living side by side. GOBankingRates examined every zip code in the country to determine which are the richest and which are the poorest, based on the concentration of different income levels among the people living there. The nation’s poorest zip codes tend to be located either in a larger metropolitan area or representing sparsely populated, rural districts. Geographically, the poorest zip codes tend to be located in the eastern United States, with just two zip codes on the west coast and 19 of the 25 east of the Mississippi River. Keep reading to see some of the poorest areas in America. In this zip code, just south of Los Angeles’ Skid Row neighborhood, more than two-thirds of its inhabitants earn less than $25,000 a year. 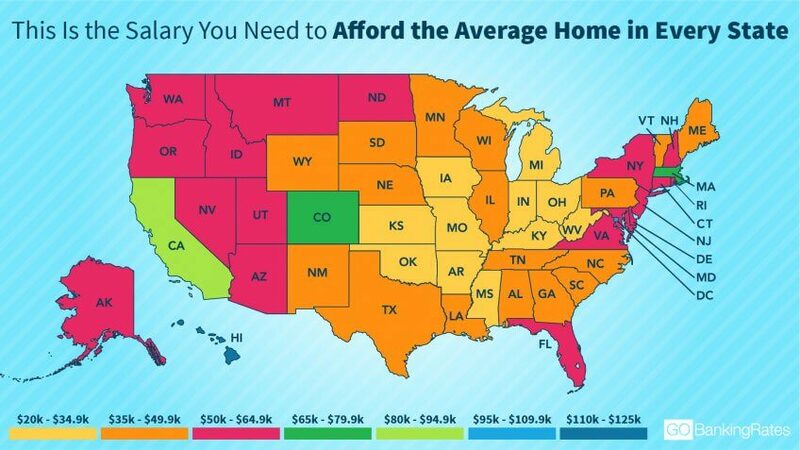 Los Angeles, however, is one of the cities that are becoming more expensive. Not only is it one of the poorest zip codes, but Cincinnati is also one of the cities where you can live off less than $50,000 a year. The city of Cincinnati was once known as “Porkopolis” for its thriving pork trade. But today the city’s economy has diversified industries, such as life sciences and financial services. This area is located just north of Interstate 75, north of major Cincinnati universities. Tiny Geneva, located between Macon and Columbus, has about 100 residents in its boundaries, which encompass less than a square mile, according to the state of Georgia. Chokoloskee is an interesting case. Its median income is less than a third of the next-lowest on the list, but its mean income is actually the highest among the 25 poorest zip codes. That’s because about one in six residents of this coastal South Florida community pulls down more than $150,000 annually. The Motor City has the highest poverty rate of major American cities, with nearly four in 10 inhabitants below the poverty level. However, Detroit is one of the cities where your paycheck will stretch the furthest, found a separate study. It’s fitting that the next zip code on the list is in Cleveland: The Northeastern Ohio city has the second-highest poverty rate behind Detroit at 35.4 percent. As a whole, though, Cleveland is one of the cities where rent is cheap, but cost of living isn’t. The city of Toledo was once the focal point of a border war between Michigan and Ohio. While plenty of people are struggling to make ends meet in the 43604 zip code, a GOBankingRates study shows that Toledo is the No. 1 city where your paycheck goes the furthest. 18. 38318: Buena Vista, Tenn. The rural Tennessee community of Buena Vista, located just north of the Natchez Trace State Park and Forest, has no residents with annual incomes north of $150,000. And two out of three inhabitants earn less than $25,000 a year. Located near the Navajo Nation Reservation and the Canyon de Chelly National Monument in the northeastern corner of the state, Nazlini has a population of less than 500 people. The 12207 zip code in Albany is located along the Hudson River. While the city of Albany as a whole has a median household income of $42,335, this neighborhood not far from the state Capitol building comes in about $30,000 a year lower than that. Located on the Ohio River adjacent to the Central Business District, Cincinnati’s 45203 zip code has an average income under $25,000 a year. Fortunately for retirees, the cost of living is low, making Cincinnati one of the cities where your retirement nest egg will last the longest. The city of Cincinnati has three different zip codes among the 25 poorest, indicating that the southern Ohio metropolis is going through some especially trying times. Nestled next to the Santa Fe National Forest, Chamisal has about only 1,000 residents, according to the U.S. Census Bureau. The tiny town of Auburn is at the fork of Bone Creek in northern West Virginia and has about 25 residents, which likely contributes to it having one of the poorest zip codes in the U.S. Located near the scenic Organ Mountains, Organ has a population of less than 200 people and a poverty rate of almost 50 percent. The 79901 zip code sits just north of the Rio Grande River, which divides the U.S. and Mexico. While almost four out of five residents in this zip code make less than $25,000 a year, they might be able to stretch what they do make. 9. 36511: Bon Secour, Ala.
Times are tough for this Gulf Coast community sitting on the Bon Secour Bay. The Census Bureau estimates that more than half of its population left between 2010 and 2016. The community has about 350 residents. Connecticut has the second-most millionaires per capita in the United States, but none apparently live in Waterbury. Canton is home to the Pro Football Hall of Fame, but residents of the 44702 zip code have a median income below $10,000. That’s less than a third of the median income of the city as a whole. More than one quarter of the city of Decatur’s residents are living in poverty, but that number gets much worse when you focus on the historic downtown district. Inside the 62523 zip code, nearly 80 percent of people are living below the poverty line. While the city as a whole has a median income of $35,205, that’s still more than triple the median wage for residents of the 16501 zip code. 4. 86029: Sun Valley, Ariz.
Another sparsely populated rural community, Sun Valley has about 280 residents. The median age in the community is 57. This is the seventh and final Ohio zip code to appear among the 25 poorest, with no other state containing more than two. This Youngstown zip code is one of just two among the 14 poorest to feature any portion of its population earning $150,000 or more. The tiny community of Broadbent has a median income just more $10,000. And more than 90 percent of its residents earnings less than $25,000 a year. 1. 15929: East Wheatfield, Pa. The poorest zip code in the United States is tiny East Wheatfield, east of Pittsburgh, and on the Backlick Creek. The U.S. Census Bureau estimates it has about 70 residents. 25 Richest Zip Codes in the U.S. Meanwhile, on the other side of the country, three of the wealthiest zips are in California’s Silicon Valley, with one more popping up just across the San Francisco Bay. The seaside community of Strathmere has the distinction of being one of the two zip codes where the median income is actually higher than the mean, something made all the more curious by the fact that even the poorest residents are still earning more than $25,000 a year. Glenwood has nearly six out of 10 residents earnings $150,000 or more each year. They’re not alone. Maryland has the most millionaires per capita of any U.S. state. Located next to the Westconnaug Reservoir, Clayville is the other zip code where the median income is below the average income, in this case by almost $50,000 a year. Nearly three out of every four inhabitants of Spencerville, which is in Montgomery County and between Baltimore and Washington, D.C., earn at least $150,000 annually. 21. 94024: Los Altos, Calif. The Silicon Valley town of Los Altos is home to some of the Bay Area’s richest residents. In fact, you won’t believe how wealthy this city really is. 20. 10597: Township of Lewisboro, N.Y. Containing all of Lake Waccabuc and the Long Pond Reserve, the sparsely populated Township of Lewisboro on the border of New York and Connecticut grew to a population of more than 1,000 in the last decade. These two neighbors on the list of the wealthiest 25 zip codes are also neighbors in real life, with Weston just a 17-mile drive from the Township of Lewisboro across the border in New York. The 06883 zip contains most of the Devil’s Den Nature Preserve. 18. 19437: Gwynedd Valley, Pa. Located on the Wissahickon Creek north of Philadelphia, Gwynedd Valley is less than 20 miles from the Valley Forge National Historical Park. But, with a median income over $200,000, it’s a safe bet that winters there are a far sight better than the one the Continental Army suffered through. 17. 06870: Old Greenwich, Conn. Located on the Long Island Sound just outside of Stamford, Old Greenwich is another of the well-monied towns peppering the border between New York and Connecticut. 16. 22066: Great Falls, Va. Located on the shores of Lake Michigan, Kenilworth is sandwiched between Evanston, home to Northwestern University, and Winnetka, the wealthiest city in Illinois. It also is the only zip code among the 25 wealthiest to fall in the Midwest. Darien, on the southern shore of Connecticut, is the wealthiest city in the state, a previous study found. Situated along the border with Connecticut and near the Kensico Reservoir, Armonk is another of the wealthy zip codes found between the Hudson River and the Long Island Sound. 12. 94028: Portola Valley, Calif.
Portola Valley represents the second of three Silicon Valley locations on the list, with the average salary for residents coming in at over $330,000 a year. 11. 10282: New York, N.Y. Most of the 10282 zip code actually is along the Hudson River, but the tiny slice of Lower Manhattan it includes contains Rockefeller Park, the Battery Park City Ball Fields and the Irish Hunger Memorial. The median income for this zip code might be much higher, but the U.S. Census Bureau records only median incomes up to $250,000. The only one of the 25 wealthiest zip codes to appear in the South is Houston’s 77010 zip between the Central Business District and downtown. Chappaqua is the last of the six zip codes along the New York/Connecticut border and is directly adjacent to zip code No. 13, Armonk, N.Y. Chappaqua is the wealthiest of the six, though, with a median income of nearly a quarter million dollars. 8. 07078: Short Hills, N.J. The Newark suburb of Short Hills, home to just over 13,000 people, is another zip code where the median income could be even higher than the $250,000 a year reported by the Census Bureau. 7. 10007: New York, N.Y. The 10007 zip code in Lower Manhattan borders the other Manhattan zip code among the 25 wealthiest (10282), lies at the foot of the Brooklyn Bridge and is home to New York’s City Hall. Located outside San Rafael in Marin County and directly adjacent to the Point Reyes National Seashore, Ross is just across the Golden Gate Bridge from San Francisco and Silicon Valley. Less than 1,500 people live there, but their average income exceeds $385,000 a year. 5. 21153: Garrison and Pikesville, Md. Located just outside of Baltimore, the 21153 zip — which contains parts of both Garrison and Pikesville — is home to just more than 300 people. Nearly 70 percent of households make more than $150,000 per year. Florida presents two of the most interesting zip codes in this study. While Chokoloskee has an unusually high concentration of top earners — despite being among the 25 poorest zip codes — Fisher Island in Miami has 15 percent of its residents earning less than $25,000 annually despite the zip code as a whole averaging almost half a million per year. Although Silicon Valley might ultimately feature fewer wealthy zip codes than the area between New York and Connecticut, its top zip code, Atherton, is the highest-ranked of the combined group. The 07970 zip outside Mendham is the most exclusive zip code on this list. With a population of 117, every household in the area earns at least $150,000 a year. With so much of America’s wealth concentrated around New York City and the San Francisco Bay Area, the nation’s wealthiest zip code lies in … Kentucky? It’s true. This zip code doesn’t contain any households with less than $25,000, and the average household brings in over half a million in annual income. While the poorest ZIP codes include neighborhoods in some of America’s major urban areas, with the exception of two ZIP codes in the southern part of Manhattan, the rich seem to prefer living in the suburbs. That said, the richest and the poorest ZIP codes include plenty of rural areas with populations of less than 1,000 people. One other notable trend would be that while 14 of the poorest ZIP codes are exclusively middle-class and below, with no one earning $150,000 or more living in them, all but two of the 10 wealthiest ZIP codes have at least some residents earning less than $25,000 a year. Click through to see which cities are in danger of a housing crisis. What Percent of Americans Think They Will Be a Millionaire? Methodology: The study looked at four different factors for each ZIP code: median household income, mean household income, what portion of households are making more than $150,000 annually, and what portion are making less than $25,000 a year. Then, after weighing each factor and combining the results, the study produced a definitive list of which areas have the highest concentration of wealthy people and which are predominantly occupied by people who are more likely to be struggling to make ends meet. See which 2018 senate races and house races have been costliest.